Many small business owners think they’re saving money by handling their bookkeeping themselves, or hiring in-house staff, or engaging the ‘cheapest’ bookkeeper they can find on Google. While it can be beneficial to learn bookkeeping basics, cash flow management and your tax obligations, hiring a professional bookkeeper to oversee your accounts has many benefits. And although it may be nice to have an employee in the office all the time, this could be costing you a lot more than you think! 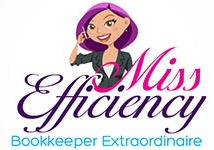 How long does it take you to do your own bookkeeping? Are you doing your accounts when you could be spending time with your family? And are you doing it right or the most efficient way? Are you doing it at all? Leaving your books to us will free up time so you can focus on serving your clients and implementing plans for growth. If you’re considering hiring an employee: what are their qualifications? Will they be side-tracked by other responsibilities? What happens when they take leave or suddenly don’t turn up for work? How much time and effort will you put into training? How do you know they’re really doing a good job for you? Leaving your books to us will save you money that you can reinvest back into the business. We live and breathe bookkeeping. When you partner with us you’re supported by a team with over 50 years industry experience! Our bookkeepers are industry qualified and software certified and we all work on your file to ensure that we’re all across what’s happening within your business. This means you can have peace of mind that things are being done right. And you can call on us at any time and get the help you need, when you need it. We know running a successful business can be stressful. You’re wearing many hats – marketing, human resources, business development, customer relations, accounting, and so much more … that’s stressful when you work long hours and have such a lot going on. Working with us takes a lot of the stress off – we take care of staff scheduling, budgeting, payments and reporting; we take care of the bill payments and keeping your suppliers informed; we make sure all the i’s are dotted and t’s are crossed so you don’t have the tax man breathing down your neck. We bring back the joy of running your business without the stress of your accounts!